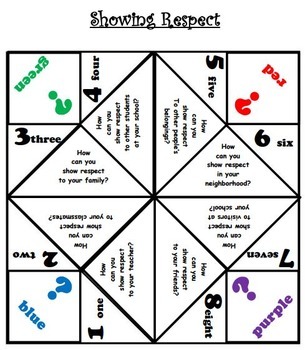 Your students already love them, why not use cootie catchers to reinforce character education discussions. 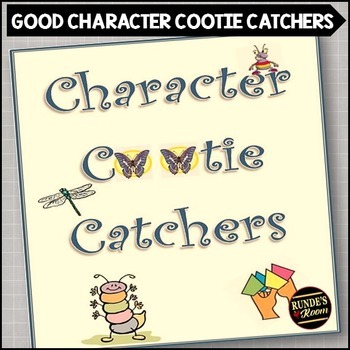 This file includes seven different character cootie catchers (anti-bullying, cheating, peer pressure, leadership, honesty, showing respect, and responsibility). 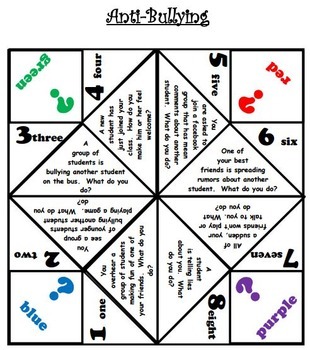 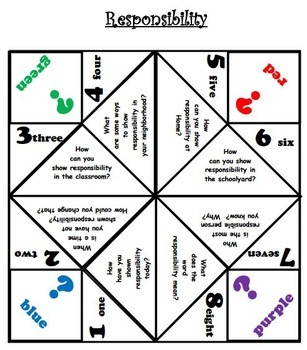 The file also contains a blank template for making your own cootie catcher (a perfect activity for test review questions).